The kriss kross puzzles with a number twist! 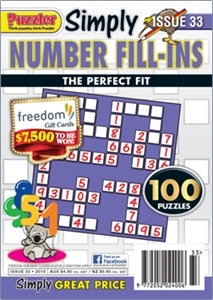 The fuss-free puzzle magazine that challenges you to fit numbers in the right spaces to complete the grids. One-hundred or more puzzles per issue and regular competitions for cash or fantastic prizes.